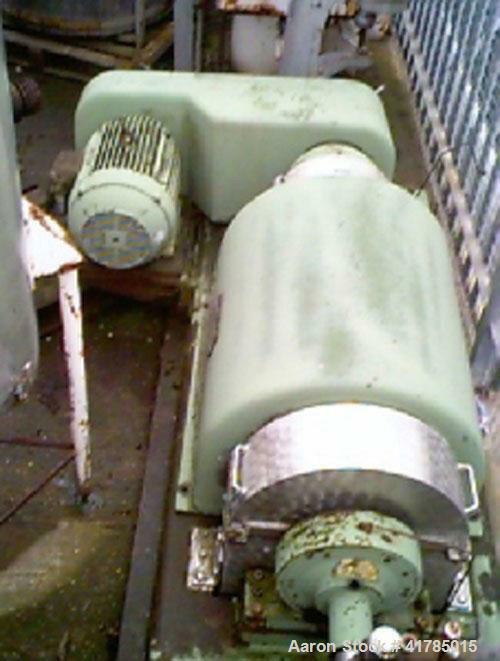 Used-Flottweg Z3L Solid Bowl Decanter Centrifuge, stainless steel. Inner diameter 16.5" (420 mm), length 49.6" (1260 mm), with 26 hp/19.5 and 31 hp/23 kW drive with 2 speed 1470 and 2950 rpm, max speed 4000 rpm. With pulleys and gearbox fitted input lower speed 1470 rpm gives bowl speed 1750, 2000, 2500 rpm and scroll conveyor 5, 12, 19 rpm. 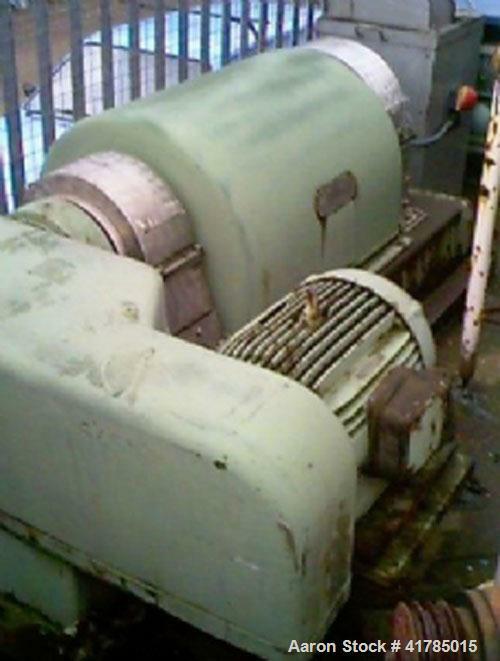 Higher speed input speed 2950 rpm gives bowl speed 3500, 4000, 5000 rpm and scroll conveyor 10, 24, 38 rpm.